Breakfast with Santa at Camp Kiwanis! 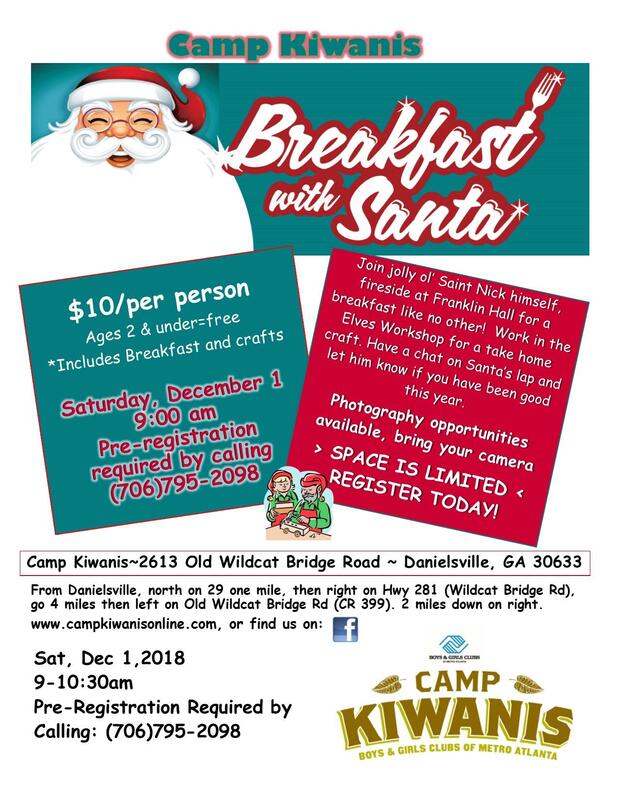 Breakfast with Santa is Saturday, December 1st, 9 am at Camp Kiwanis! Join jolly ol’ Saint Nick himself (and I bet you know him! ), fireside at Franklin Hall for a breakfast like no other! Work in the Elves Workshop for a take home craft. Have a chat on Santa’s lap and let him know if you have been good this year. Photography opportunities available, bring your camera! Space is Limited so Register Today!